South Islanders Joanna and Warren Rogers always had a passion for design but it wasn’t until the pair were renovating a house together in London that they realised how decor can enhance everyday life and the experience of outdoor spaces. In 2005 that observation helped them decide to leave the corporate rat race and run a small garden shop in Sydney’s Surry Hills. The store slowly broadened their range from plants and pots to garden accessories and small pieces of furniture. Joanna enjoyed helping clients create interesting and enduring combinations and Warren loved translating those ideas into a digital space. They specialised in solutions for urban balcony gardens when they first encountered French outdoor furniture company Fermob, instantly becoming committed fans. 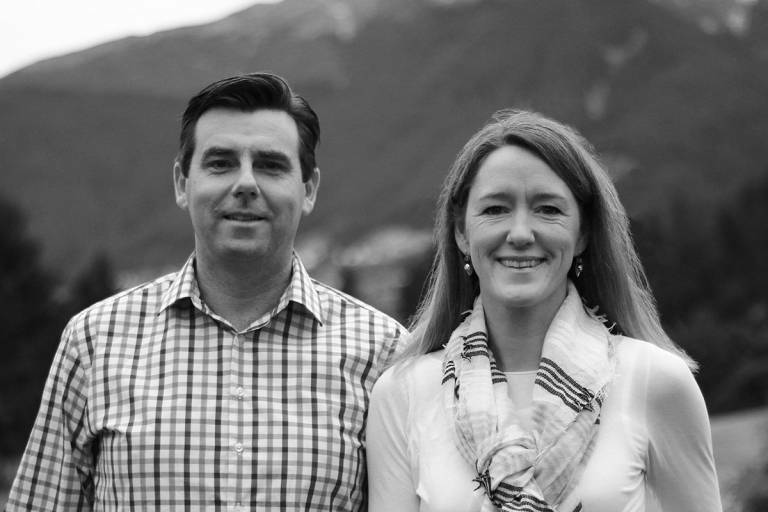 The knowledge, experience and craftsmanship demonstrated by the brand was so great that when the couple moved back home in 2012, they became Fermob’s New Zealand partner to share how its quality design and materials can augment the Kiwi lifestyle. Fermob is an intrinsic part of their lives; from every piece in their home that has been used in multiple locations indoors and out, to running the showroom, design service and online store themselves. It’s that enduring passion they demonstrate everyday that ensures exceptional and personalised service. If you have any questions about our business or our products, just get in touch.